So you want to start buying organic food, but you are worried about the cost. It is true that the cost of organics is often significantly higher than conventionally grown produce. There are a number of reasons for this. Organic food is generally more highly priced because it costs more to produce and is more labor intensive than its conventional counterpart. Organic crops also may result in lower yields, which in turn results in higher prices. Other hidden costs are the fees that organic farmers must pay in order to obtain organic certification. Unlike commercial farms, organic farms do not benefit from government subsidies to grow their crops. Also, although organic food and produce has become increasingly popular, it is still a much smaller percentage of the market than non-organic food: only 2.8% according to Organic Trade Association. However, there are ways to save money and go organic on a budget without going into total sticker shock. 1. Buy organic food in bulk. It is sometimes possible to get wholesale prices if you are willing to stock up and get larger quantities, especially on dry goods. Shop around and research the best deals. 2. Take advantage of coupons and sales whenever possible. Some organic food manufacturers offer online coupons for their products which are easy to print out and take to the store. MamboSprouts is a good place to start. They offer a variety of printable organic food coupons through their website. Be alert to your local natural and organic food market sales and flyers and plan your shopping accordingly. 3. Make the switch to buying organic food a gradual process. Buy organic versions of the most important products you use most frequently and wait on the rest until it is more easily affordable for you. 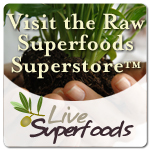 Go organic with your absolute favorite food items when you want the best quality available on the market. 4. Use Food Guides to help make informed decisions when you go grocery shopping. The Environmental Working Group has a guide which gives ratings for produce and shows which conventionally grown fruits and veggies have the highest levels of pesticides. Using the guide, you can more easily determine the most important items to replace with their organic counterparts. Find it here at foodnews.org. Keep in mind, however, that this guide only refers to the top pesticide laced crops. It does not list the most heavily GMO’d crops. For example, corn is #3 on the list of “clean” foods. Yet, corn is also one of the top 8 GMO crops! The Non-GMO shopping guide can help sort through the confusion in avoiding the top foods that contain GMO’s. Check out their NonGMO Shopping Guide here. Non-organic corn, soy products, dairy products, and eggs should always be avoided due to their high levels of pesticides, hormones, antibiotics, and GMO’s. 5. Focus on buying organic food such as fresh fruits and veggies as much as possible, rather than pre-packaged foods. It is not only healthier, but less expensive to prepare fresh home cooked meals rather than ready-made meals. If you plan ahead, it doesn’t have to take as much time as you might think! 6. Consider buying store brands. Many grocery stores and food markets are now introducing their own lines of organic food. This can often cut the cost down for consumers. Be sure to check for USDA organic certification! 7. Buy Local. Food co-ops, organic farms, and Farmer’s Markets can also help to reduce the cost of buying organic food. You may also want to try pooling your resources with friends and neighbors who are interested in going organic. 8. Grow your own organic fruits, veggies, and herbs and/or start a community garden. Don’t be discouraged from buying organic food because you think you can’t afford it. If you follow the guidelines outlined above, you will be able to cut down on the cost of going organic, and know that at the same time you are making a healthy investment for you and your family! You will also be doing your part to make organic food more accessible and affordable for everyone.